On the website of the Republican Centre for Technology Transfer (RCTT) under "Manuals" is placed the guide "Promotion of R&D results and knowledge-intensive services to the foreign market via the Enterprise Europe Network". December 21, 2017 the delegation of the Kunshan Municipal People's Government (China) headed by Mr. Jin Jianhong, Vice-Mayor, visited the National Academy of Sciences of Belarus. From the Belarusian side the meeting was attended by Academician Aliaxandr Sukalo, Deputy Chairman of the NASB; Dr. Alexander Uspenskiy, Director of the RCTT; Academician-Secretaries of the NASB and others. The guests were informed about the Centre’s activity; saw the exhibition of the NAS of Belarus “Achievements of the National Science for the Industrial Sector”. There was a discussion of cooperation prospects in the field of technology transfer and technology commercialization. The seminar for potential applicants of the 2nd Call for Proposals of the European Neighbourhood Instrument Cross-Border Cooperation Programme Latvia-Lithuania-Belarus 2014-2020 was held in Minsk. The seminar was organized by the Joint Technical Secretariat (Vilnius). The seminar provided general information on the 2nd call for proposals, requirements for projects, discussed the process of developing the project proposal, the most frequent mistakes in the preparation of the draft proposal, the eligibility of costs and the necessary documentation for construction work, as well as other relevant topics related with the preparation of project proposals. Discover the tangible impact this legislation has had over the past 37 years. 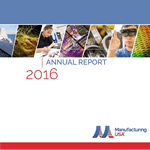 Manufacturing USA Annual Report for Fiscal Year 2016 describes the program’s work in helping to move discoveries in the nation’s universities and research laboratories to the shop floor here in America. It highlights the nine Manufacturing USA institutes that were active in Fiscal Year 2016, and documents the network's progress toward increasing the competitiveness of U.S. manufacturing. More than 35 calls between January 2018 and November 2019 will be closing. 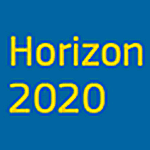 Have a look at the Calls deadlines Calendar, prepared by ZABALA, to check if you could submit a proposal. Download the calls deadlines for 2018-2019 calendar here.